Leaders in the technology industry are most often looking toward the future, in search of the next software solution that’s going to help the world. 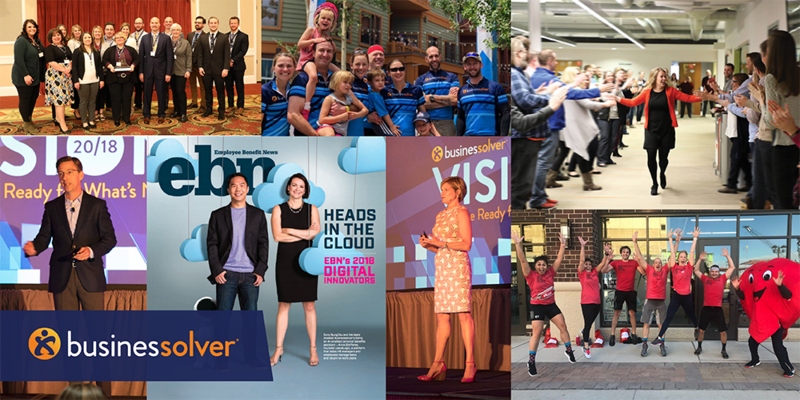 But before looking ahead, we’re taking a moment to reflect on the past — particularly how 2018, our 20th year here at Businessolver, built momentum for us to meet our goals in 2019. 2018 was a year of continued change within the benefits landscape: a major American election reminded us the health care industry is always in flux, employers adjusted to a new workforce developing its generational identity, and social forces continued to demonstrate the importance of empathy in the workplace. Setting the stage. We’re proud to say that for the past 20 years, Businessolver has continued to grow. In 2018 — our 18th consecutive year of profitability — we made a strategic decision to expand our geographic footprint around the U.S. and meet our clients exactly where they are. This effort allowed us to grow our offerings in consumer accounts administration, client support, sales, and professional services across the country. To sustain and build these new business hubs, we made a number of strategic hires. As HR professionals ourselves, we understand how crucial it is to link our hiring strategy with our evolving business needs. Keeping up the momentum of innovation. As a technology company at the intersection of software and benefits, we’ve always been part of fast-moving industries. Our approach in 2018, as it always has been, was to stay committed to industry-leading initiatives. On the Benefitsolver platform alone, we implemented an enhanced healthcare provider lookup service, integrated instant dependent verification, and updated the interface to be accessible to everyone – all with the goal of enhancing the client and employee experience. Sofia, our AI-powered personal benefits assistant, positioned us as a leader in the AI-benefits space going into 2019. In fact, AI is already leading the conversation this year. Connecting through knowledge leadership and engagement. Another theme in 2018 was reaching out to our community and building expertise through connections. The year saw the continuation of our Vision Tour, a series of client events for HR and benefits professionals. 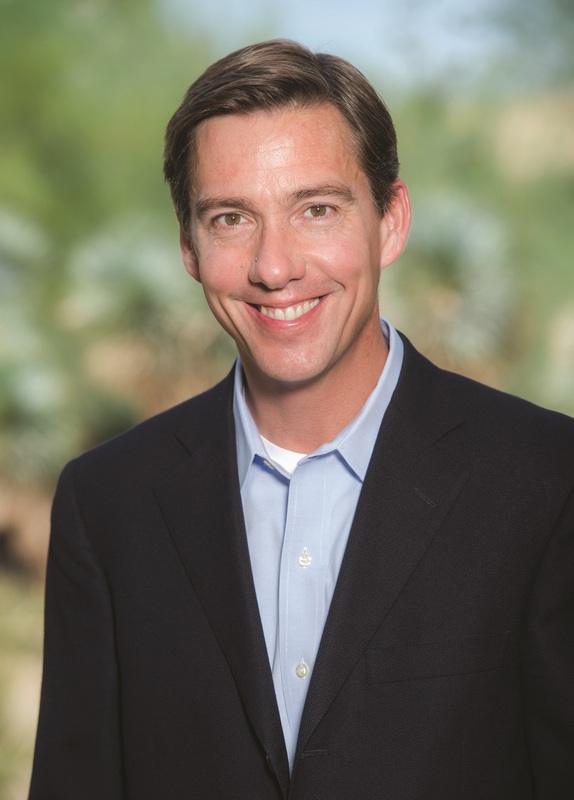 Our keynote speaker, award-winning leadership and workforce development expert Cy Wakeman, gave attendees in-depth, personalized insights on reality-based leadership and opened the conversation about the challenges and successes we all face as leaders. For Businessolver, our approach to leadership was recognized last year by the American Heart Association (AHA) with a Silver Level Workplace Health Achievement award, showing that our dedication to keeping employees engaged with their health and wellness is setting a new standard. Also in 2018, our very own HR leader, Marcy Klipfel, was accepted into the Forbes Human Resources Council, a prestigious opportunity to share her insights into human resources with executives across all industries. Giving back to our community. Our commitment to our core value of “Giving Back” was a major thematic focus throughout last year. In 2018, the Businessolver Foundation donated more than $300,000 to a variety of causes and communities. Employees contributed an additional $27,000 and volunteered more than 2,500 hours in total throughout the year. The commitment our employees have to the causes most important to them continues to build connections and demonstrate how empathy makes sense both in the workplace and beyond. Read more about Businessolver in 2018 below.